Rockland, MA and New York, NY, March 23, 2017 – EMD Serono, the biopharmaceutical business of Merck KGaA, Darmstadt, Germany in the US and Canada, and Pfizer Inc. (NYSE: PFE) today announced that the US Food and Drug Administration (FDA) has approved BAVENCIO® (avelumab) Injection 20 mg/mL, for intravenous use, for the treatment of adults and pediatric patients 12 years and older with metastatic Merkel cell carcinoma (mMCC). This indication is approved under accelerated approval based on tumor response and duration of response. 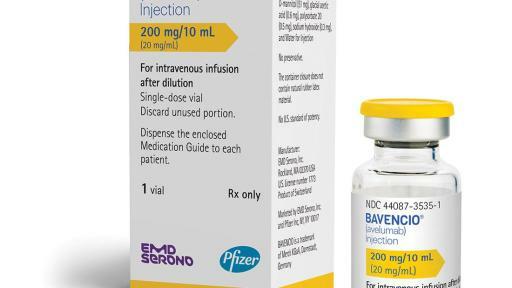 Continued approval for this indication may be contingent upon verification and description of clinical benefit in confirmatory trials.1 BAVENCIO was developed, reviewed and approved through the FDA’s Breakthrough Therapy Designation and Priority Review programs. Type 1 diabetes mellitus, including diabetic ketoacidosis: Monitor patients for hyperglycemia or other signs and symptoms of diabetes. 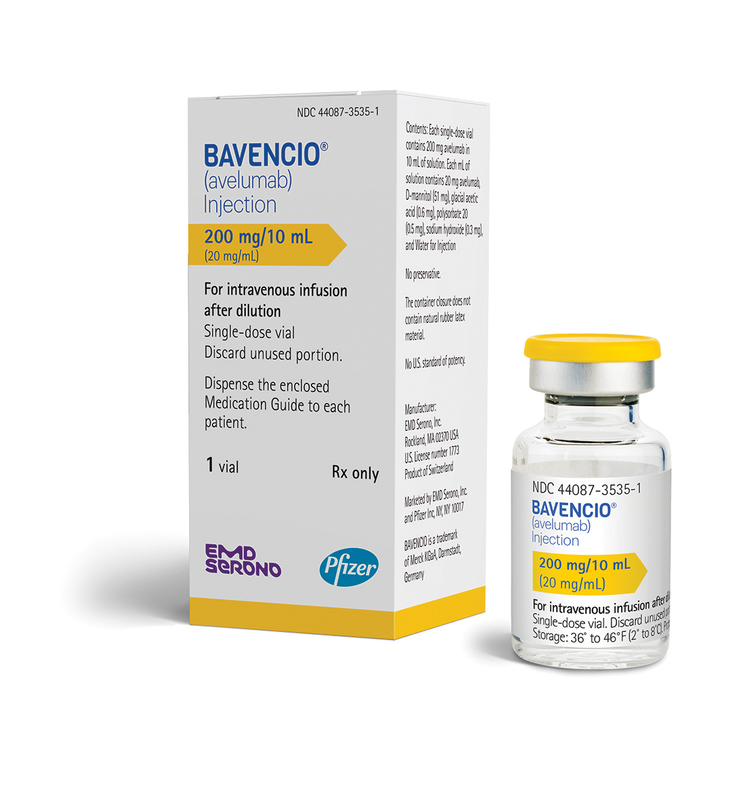 Withhold BAVENCIO and administer anti-hyperglycemics or insulin in patients with severe or life-threatening (Grade 3 or greater) hyperglycemia and resume treatment when metabolic control is achieved. Type 1 diabetes mellitus without an alternative etiology occurred in 0.1% (2/1738) of patients, including two cases of Grade 3 hyperglycemia. National Institutes of Health, U.S. National Library of Medicine, Daily Med. Available at https://dailymed.nlm.nih.gov/dailymed/advanced-search.cfm. Accessed March 22, 2017. Lemos B, Storer B, Iyer J, et al. Pathologic Nodal Evaluation Improves Prognostic Accuracy in Merkel Cell Carcinoma: Analysis of 5,823 Cases as the Basis of the First Consensus Staging System for this Cancer. Journal of the American Academy of Dermatology. 2010;63(5):751–761.